Located in northern Orange County, California, the city of Fountain Valley is just a few miles from popular destinations such as Disneyland, Knott’s Berry Farm, South Coast Plaza, Fashion Island, and, of course, the Pacific Ocean. This city is often grouped together with other more coastal cities in the area; however, it has a culture and charm that is completely unique. The 405 highway runs through the middle of Fountain Valley, which helps define two parts of the city. South of the freeway is mostly middle-class neighborhoods that are surrounded by brick walls and a park or school within the premises. There are many fast-food options on Brookhurst Street as well as grocery stores, retail shopping, and restaurants. North of the freeway you will find the majority of the area is made up of Mile Square Regional Park. Here, there are basketball and tennis courts, soccer and baseball fields, two golf courses, and an archery range. The two lakes that are in the park offer paddle-boating and fishing as well. South of the park are many large apartment complexes and in the other areas surrounding the park are newer housing developments. The area is also host to bulk-goods retail giants Costco and Sam’s Club. Shopping is plentiful here with major retail centers such as the Westminster Mall and Bella Terra providing almost unlimited shopping options for everyone! Fountain Valley has earned the reputation of being a family-friendly city, not only because of its fantastic school district, but because of the many festivals, parks, and instruction businesses (think dance and martial arts studios) here. This is also the perfect spot for many people who are interested in living in a tranquil, suburban setting away from the hustle of the “Big City”. No matter who you are though, it’s definitely worth investigating! Read on to learn more about what it takes to live in the beautiful city of Fountain Valley. Fountain Valley is relatively more affordable than some of its neighbors, but make no mistake; it is still considerably more expensive than much of the rest of California. The overall cost of living in Fountain Valley, which is determined by the cost of healthcare, transportation, utilities, groceries, housing, and goods/services, is 20% higher than the California average, and 66% higher than the national average. The largest factors determining the cost of living here are goods/services along with housing. When it comes to rent and housing prices, prepare for your bank account to take a hit. The median rent is $1,778 and is 37% higher than the rest of California. The median home price is $626,600, making it 53% higher than the rest of California. Whether you are renting or buying, there are many home options to choose from including urban townhouses, inexpensive condos, and high-end residences. It should be noted that the median income for those living in Fountain Valley is $84,763, which is 33% higher than the rest of California. What is There to Enjoy in Fountain Valley? Time to have some fun! There’s a lot to be had in Fountain Valley, and we’ve picked out a few prime events and locations to have a good time. In terms of restaurants, you’ve got your pick of many different kinds of cuisine. The Recess Room is a chic yet down-to-earth dining experience with American small plates, mixed cocktails, premium whiskey, craft brews (24 on tap) and wine selections with a regional focus. Inka Cantina aims to inspire their customers with their traditional family recipes from the Andes and Northern Coast of Peru. The perfectly Peruvian atmosphere combined with fresh seafood, chicken, beef, and lamb dishes has made this a mainstay in the area. Mr. Kebap is a family-owned favorite among locals, especially the Turkish community. It serves Helal Turkish and Mediterranean comfort food as well as specialties including Kokorec and Hamsi. Âu Lạc will be your new go-to restaurant if you’re looking for plant-based, vegan, and Vietnamese cuisine. Silky Sullivan’s is the best spot in town for a drink with friends, listening to live music, and dancing the night away! You can also have your fill of fine Irish dining and pub food here all year long. The best things in life are free, right? Here are a few public attractions where you can have fun without worrying about your wallet. There are numerous parks in the area where you can enjoy playgrounds, jogging tracks, and wide-open spaces. A few include Los Alamos Park, Fulton Park, and Mile Square Regional Park. It should be noted that Mile Square Regional Park is 607 acres of natural bliss. 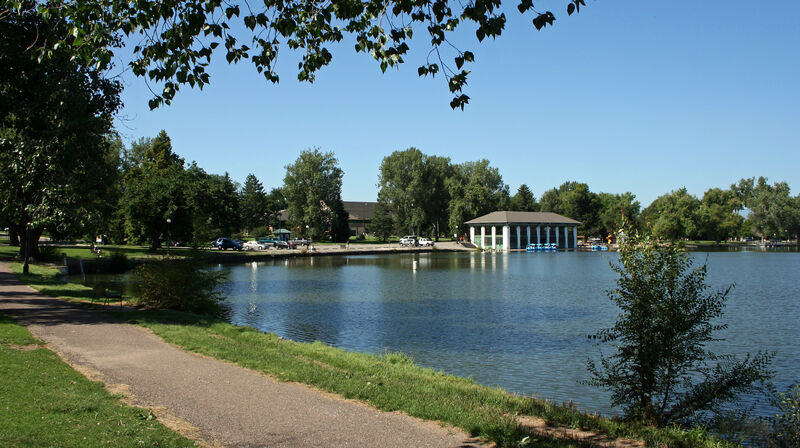 Bring the family here for a picnic and some outdoor sports, or visit either of the two lakes on the property for some paddle-boating and fishing. The city also hosts many parades and public events including free concerts in the park all summer long! Now that you’ve done some in-depth reading about the fine features of this city, and considered all the different factors in terms of what you need to do to live in Fountain Valley, it may be time to move! The suburban feel of this city will keep you feeling alive with all of its awesome restaurants and shopping, beautiful parks, and entertainment possibilities. You also get to enjoy all of your favorite attractions that are in nearby cities without having to deal with the tourist season and the overcrowding that comes with it. Have you considered the tools you will need to make your move successful? Or what you should do with your belongings if you need extra space once you get here? Relax! A-1 Self Storage has you covered. We have the self storage unit you need to make your transition to Fountain Valley flawless. Our state-of-the-art facilities are equipped with security features and staff who care, so you don’t have to lose any sleep at night. Also, any moving or packing supplies you may need can be purchased in the on-site office! What are you waiting for? Start renting today and you’ll move effortlessly into your Fountain Valley dream home in no time!